The Big Thompson River is best known as a great place to fish for healthy trout from its origin in Rocky Mountain National Park to Arapaho Roosevelt National Forest. 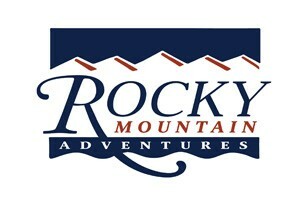 Offering guided fly fish trips on the Big Thompson River. With its classic pool-riffle structure, big fish await your casted fly. Come see our rates for 1-4 anglers. The Big Thompson River flows from Rocky Mountain National Park, through Estes Park, Colorado and onward through the Big Thompson Canyon. It is an outdoor enthusiast’s ideal vacation destination as it offers not only premiere fishing but also many other land and water activities. 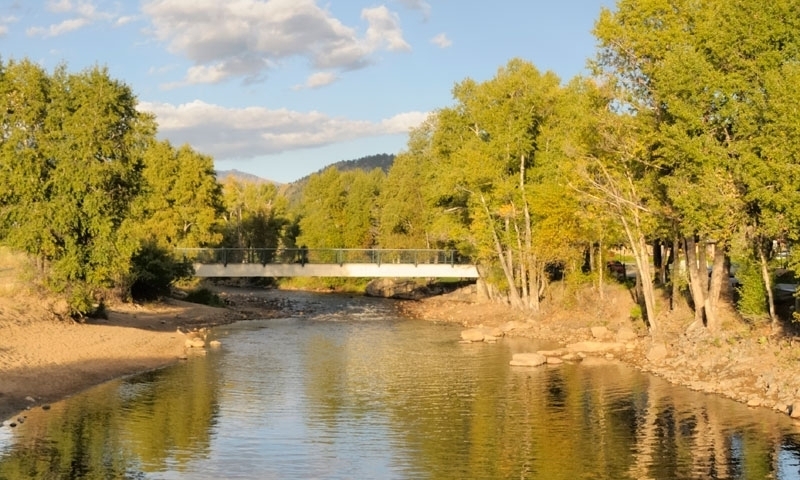 Highway 34 parallels the Big Thompson River as it flows through meadows and canyons from Estes Park and eastward. There are many access points along this route. As most of the river freezes over in the winter, the best time to plan a fishing trip along the Big Thompson is from May through October. In the middle of summer is the best time for wading, and from noon until after sunset are the best times to throw in a line. Of course, fishing is the most popular activity along the river, with plenty of browns and rainbows. At the east end of Estes Lake just beyond Olympus Dam you will find a great access point and some good fishing. As you leave Estes Park, you’ll come to the first bridge and a turnout on the north side of the highway. This is another excellent access point to the river. There are many places for fishing along Highway 34 all the way to Drake, Colorado. For a wonderful 5.5-mile hike, take the Dunraven Trail. Allow six hours for the trip. You will make many stream crossings with about a 600-foot elevation gain. There is a wide choice of other hiking trails in the area around Estes Park. It’s always a treat to hike through the forests and glens of the Rockies. Further along the Big Thompson River in the Big Thompson Canyon, you’ll find exciting rafting and kayaking. It’s a great river for floating when the water is at a decent level, and perfect for whitewater rafting when the levels are high. When fishing the Big Thompson, it’s best to approach your fishing spot from downstream in order not to spook the fish. Stoneflies, caddis, and midges work best on this river. Streamers are uncommon but successful in the fall. 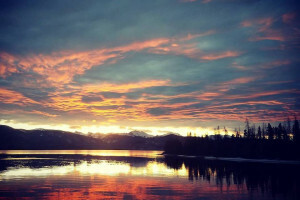 Enjoy one of Colorado’s best fishing spots! The Fraser River lies on the other side of Rocky Mountain Park.